Bio: Steven began his CrossFit journey in 2011 and began coaching because he passionately believes in the life-changing benefits of functional fitness. 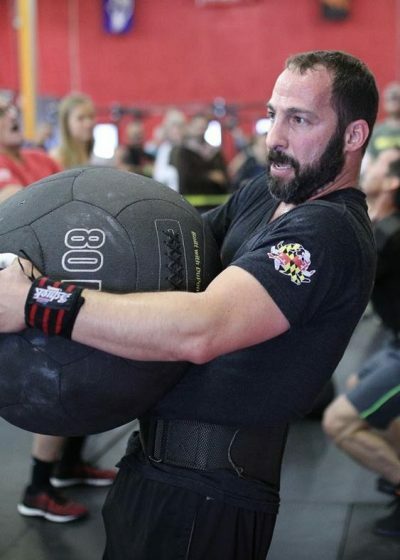 His goal as a fitness coach is to inspire individuals to make long-term lifestyle changes, and he has found that CrossFit’s scalable intensity and commitment to functional movement makes it the perfect program for individuals of all ages and abilities. Favorite Food: Cheeseburgers and French Fries… the gourmet stuff! Bio: I have had a love of fitness and motivating others for years. I believe that physical fitness is achievable for everyone. Neither age, gender, size, nor physical ability has to limit a person. I love being the mother of two awesome boys. I understand the challenges of making lifestyle changes and finding the time to do so. I've successfully helped dozens of individuals develop a love of fitness, and find their very best SELF. You CAN do it! I don't want to make you workout, I want to make you WANT to workout. 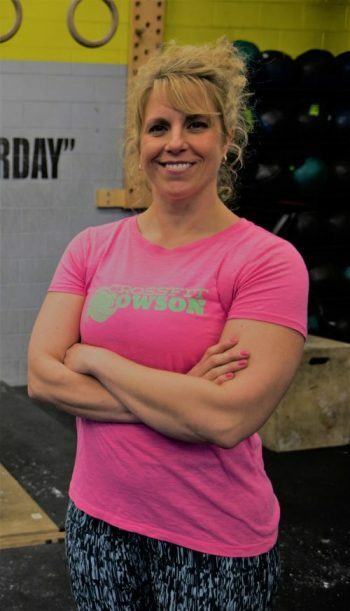 Bio: Born and raised in and around New York, former attorney and small business owner, Darin came to CrossFit later in life at the ripe old age of 45. 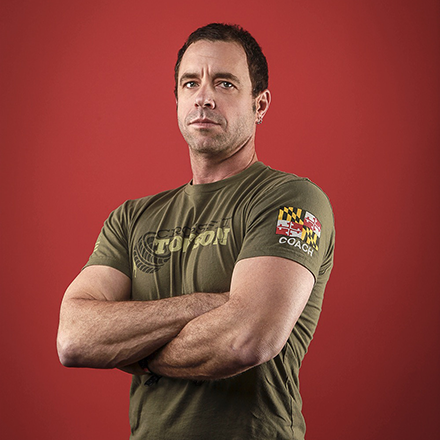 He joined CrossFit Towson to prepare for a trek up Mt. Kilimanjaro with his then 72-year old father, and (other than the two weeks for the expedition and a vacation here and there), WODs consistently 5-6 times each week. 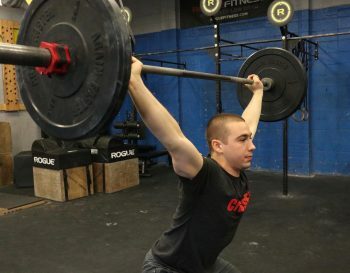 He credits CrossFit with changing his life and has become focused on a long-term healthy lifestyle and looks to provide the same opportunity to others. 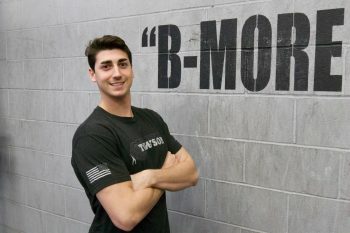 Favorite WOD: Does it have barbells? If so, he's in! Favorite Sport: To watch - football on TV, baseball at the ballpark. To play - squash and obstacle course races. Favorite Food: Almost all vegies, almost all meat. Coaching Philosophy: After decades of sitting most of the day, most people have forgotten how their bodies are supposed to move naturally with grace and power. Helping the body safely restore this movement while increasing athletic power and performance is job one. Bio: I grew up in Baltimore playing as many sports as possible where I eventually discovered tournament level tennis. By High School I was a state and regional tennis champion, and began competing nationally and internationally. I also spent a lot of time in the gym strength & speed training, and doing road-work for cardio. For my freshman and sophomore years in college, I earned an athletic scholarship to Towson University where I was awarded the East Coast Conference (ECC) and East Coast Atlantic Conference (ECAC) Championship at the number one singles and doubles positions. I was also recognized for having the highest winning percentage at the number one singles position in the history of the program. For my junior and senior years of college I attended and graduated from the University of Maryland where I earned All ACC honors and played in the number one and two singles and doubles positions. While in college, and for a short time after, I competed part-time on the ATP Tour, but had athletic injuries (two broken ankles) and several bouts of tendonitis that sidelined me long enough to finish my degree and start coaching tennis and fitness to as many folks as possible. I still coach elite juniors and compete professionally and am currently working on a top 10 national ranking which is another reason that I have embraced crossfit…everyday is GAMEDAY! 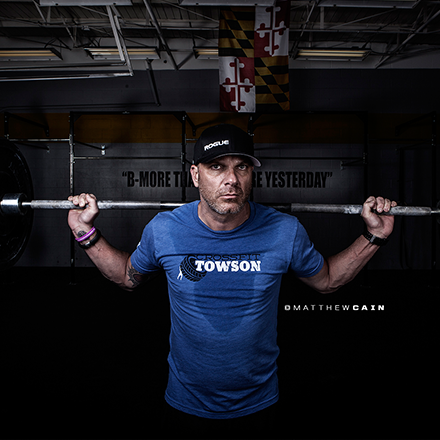 Bio: I started at CrossFit Towson five months before my 50th birthday. 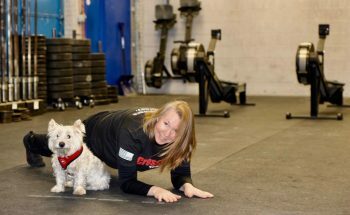 I had been part of a small personal training group for years and my trainer (who was doing CrossFit at the time) was integrating more and more CrossFit movements and WODs into our workouts. After swearing for months maybe even years that I would never do CrossFit I decided to give it a try, and now it is a huge part of my life. CrossFit is so much more than just the workout. I love that it is infinitely scale-able and a 50+ year old athlete can workout side by side someone half their age, challenge each other and have a great time. Favorite WOD: While there are movements I like better than others, what I like best is that the WODs are constantly changing. Coaching Philosophy: Just when you think you have perfected a movement take it apart and start back at the beginning in order to make progress. 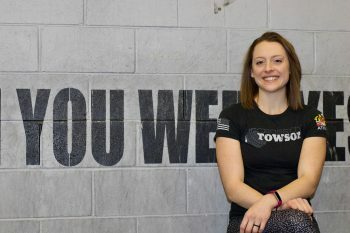 Bio: I stumbled across Crossfit the day after I moved to Baltimore. I played sports in high school and rec throughout college so I was looking for something new and challenging. I remember the first day I walked in and Steve taught me how to power clean with a barbell (I had never used a barbell before). Immediately I was in love and I still feel that energy every time I walk into the box. For me CrossFit means more than just working out, it is proving to myself that I can overcome more than I think I can; achieve goals even when life is hard; take part in a community that supports and encourages one another; and eventually run around with my grandkids when I'm 80. I became an instructor in order to help others experience the same. I love anything fitness, wellness, and nutrition. I also have a love for gymnastics (I did club gymnastics for 8 years). I got my CrossFit gymnastics certification in order to bring my previous knowledge to the CrossFit gym. Grab me anytime to ask for CrossFit, gymnastics, or nursing advise... or just as a partner to workout! Excited to see you in the box!